Galentine's Day is the day before Valentine's Day that is meant to celebrate female friendships! 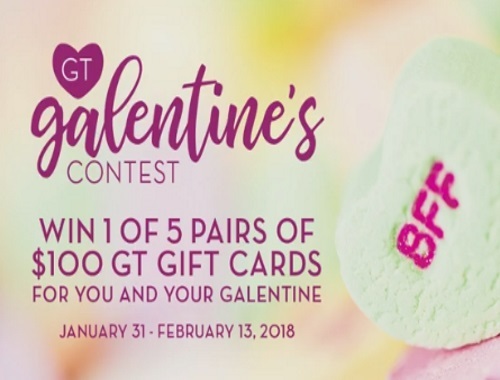 Giant Tiger is celebrating by giving away 5 pairs of $100 Giant Tiget gift cards. If you win you will get one for you and one for your BFF! To enter, just comment at the linked post below with their name for a chance to win! Contest closes February 13, 2018.